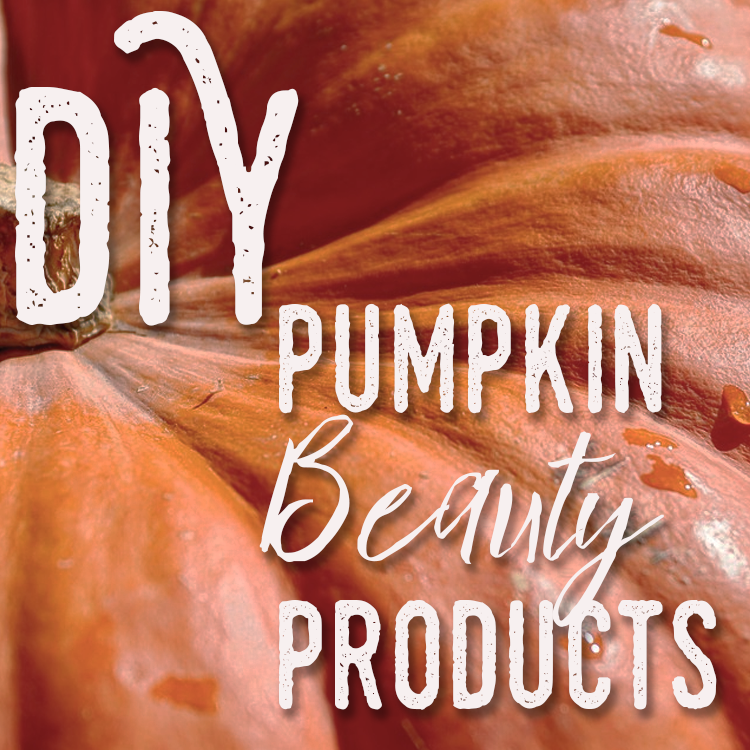 We’ve all attempted to make avocado and coconut oil beauty products to brighten and soften our skin, and in honor of fall we diced to share some DIY pumpkin beauty products! Pumpkin contains proteins, vitamins, and minerals which whelp brighten and smooth the skin, produce collagen to minimize signs of aging, and promote healthy hair growth! 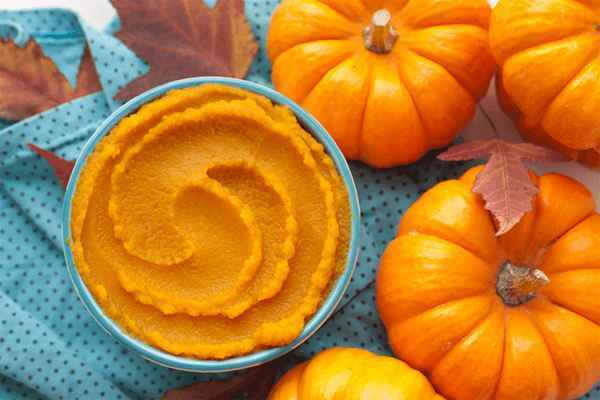 So, next time you are at the grocery store grab some pumpkin puree and try these DIY products! Mix all ingredients in a small bowl and apply to the face (avoiding eyes). Let sit for 20-30 minutes. Rinse clean with warm water. Mix all ingredients in a bowl and store in a glass jar. Use as a shower scrub. Store in the refrigerator for 1 week. Mix all ingredients together and apply to damp hair. Let rest for 30 minutes then rinse clean. Makeup is one of the easiest ways to express yourself, which is why we love it so much! However, makeup can get pricey sometimes and it’s hard to decide what’s worth the extra buck and what’s not. Instead of emptying your pockets we’ve picked some of our favorite items to help you determine whether to save or splurge on a product! A great mascara is a necessity, after all, the eyes are the window to the soul! Lately drugstore brands have been majorly stepping up their products- it’s especially the case for this new L’Oréal lash paradise mascara. This item has been all the rage recently in the beauty community. The high quality formula partnered with the special brush combs lashes and makes them much more plump and voluminous in only a couple swipes. Plus, for such an amazing price this buy is a no brainer! Finding a reliable translucent powder can be tricky. Luckily our fav powder is practically perfect! This Laura Mercier setting powder is a holy grail beauty product. With no flashback and a smooth finish, this is for sure worth a little extra cash. And if the price isn’t too appealing to you, no worries! You can get a travel size version for $15 less than the full size. We are LIVING for this new blinding highlighter trend! Although we want to pack on the highlight, we’d prefer not to empty our wallets in the process. That’s why the MegaGlo line from Wet n Wild is such a blessing! Whether it’s the powder highlight (a) or the cream one (b), you can’t go wrong with these blinding products. The price point on these items almost seems unfair and will keep you glowing on a budget! It’s very likely you’ve already heard of the famous beauty blender (but we still had to include it! ), because if you’re going to splurge on one thing it should most certainly be this sponge! The beauty blender is for sure a holy grail product and once you use it you’ll never want to set it down. From the extreme softness of the sponge to its flawless application, this item is certainly a MUST! Setting spray is the key to make your makeup stay flawless for hours. It can go very quickly depending on how much you use so it’s difficult to break the bank trying to buy some. Lucky for us there are some great ones at the drugstore! Our favorite is under 10 bucks and will give you a matte finish all day. Sometimes you need to splurge a little- and splurging on a foundation is completely justified! After all, you need a good foundation to give you a perfect canvas to create your look on. One of our top picks is the Tarte Amazonian Clay foundation. It’s super blendable, hypoallergenic, and has SPF! Charcoal is commonly used in everyday beauty products these days! There are so many benefits to using charcoal based beauty products. Your pores will be smaller and cleaner, your oily skin will be gone, and it deep treats acne! Take a look at our top charcoal beauty products this year! Looking for a great cleanser for people with acne-prone skin? Look no further! Bioré offers multiple charcoal products that help to clear your skin, especially their charcoal bar and pore strips! Enjoy the minty aroma and refreshing feeling! Gives your skin a super deep clean while only using natural ingredients! Blackmuck’s Detox Charcoal Face Mask will give you all the benefits as the other charcoal based face masks with the added bonus of being all natural! Get the teeth whitening without the damage! With this product, you’ll get easy teeth whitening at a great price! It’s time to show off those pearly whites! There are few feelings in the hot summer months better than cutting off your locks! Although some may be intimidated by cutting their hair, here are some fun summer cuts that will inspire you to go short this season! Put a modern spin on the classic bob haircut! 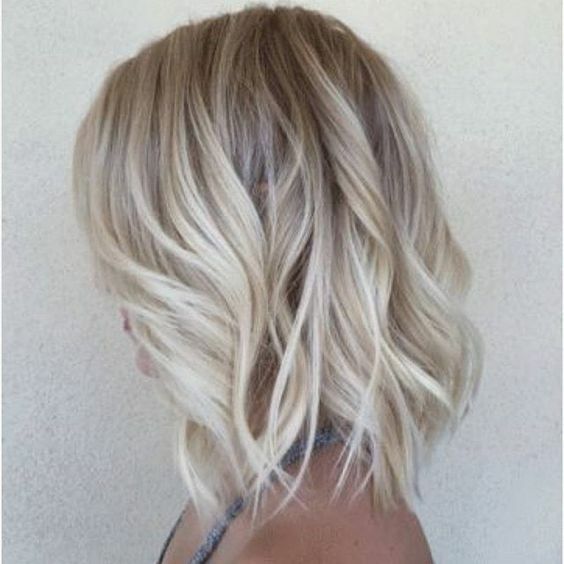 With a long bob, commonly known as the “lob,” you can have the experience of having a bob, but still keep some of your hair on the longer side! 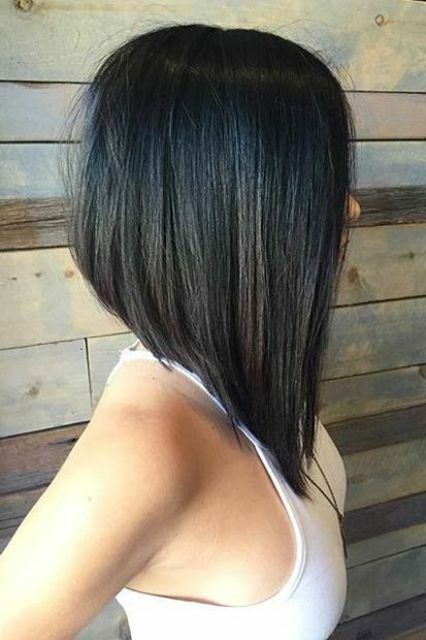 If you’re weary on cutting your hair super short, having a nice medium hair cut will still get rid of those dead ends and give you a lighter, fun haircut for the hot summer months! Take a risk and cut off all your hair! Although it may be a big leap, you can still jazz up your hair with fun accessories or even with different hair colors. With a pixie haircut, you’ll be sure to stay cool all summer long! The classic hairpiece for your wedding day is wearing a veil. Veils are very traditional at weddings, and go with almost all wedding gowns and hairstyles! Feel like an absolute princess on your wedding day by wearing your own tiara! Go with the classic tiara, or opt for a more fun and whimsical one with different shapes! Be creative and match your hair with your own bouquet! With greenery being a big trend in weddings this year, why not add some fun greenery to your hairstyle as well?! When thinking about this concept, we were inspired to mix the old with the new. 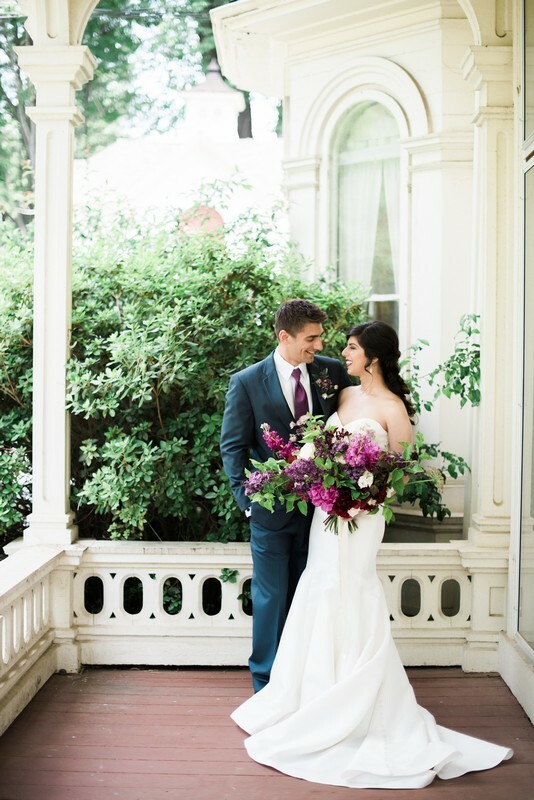 The gardens and architecture of this late 1800s historical home nestled in the heart of Amherst, Massachusetts, created a simple but elegant backdrop to allow our deep beautiful jewel tones to take center stage. 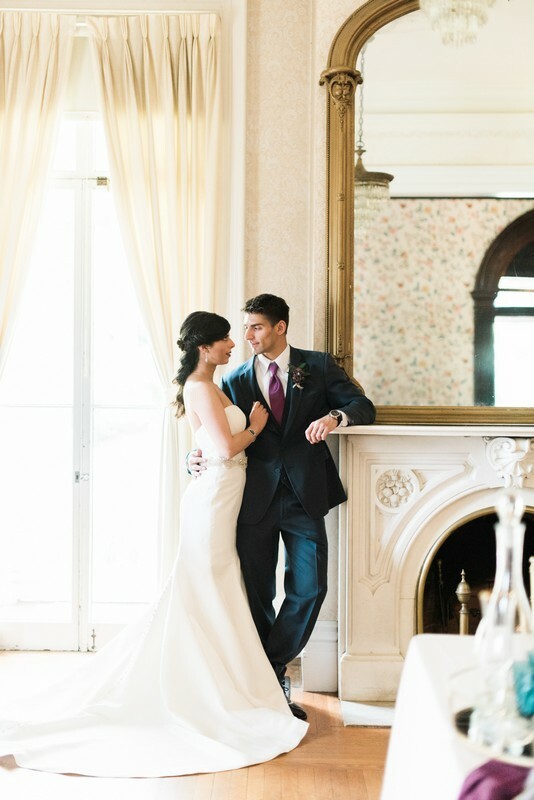 Our vision for this beautiful shoot was to showcase a deep modern jewel tone palette and embrace a balance of the classic surroundings and the rich modern romance. 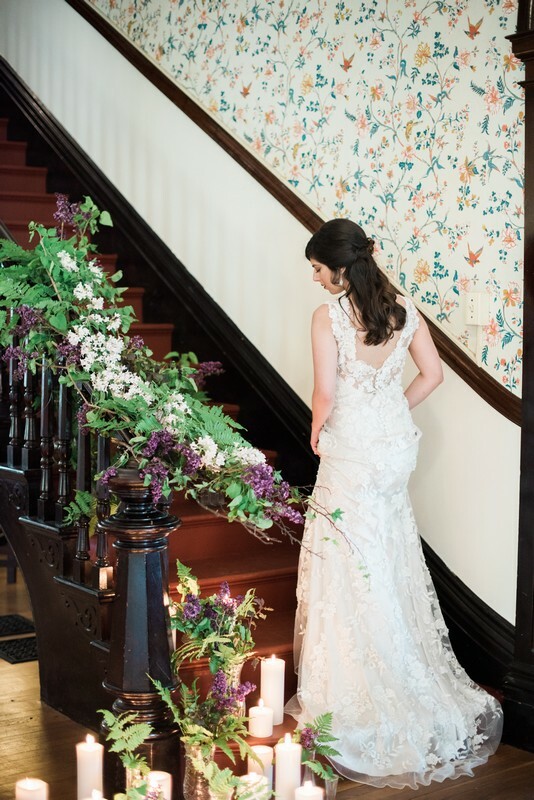 We created a bold design with hues of pinks, purples, greens and blues, a palette that we accented with the mixture of vintage details and modern touches. From the modern invitation suite with its geometric shapes and bold colors to the ombre guest seating we were inspired by this beautiful balance of classic and modern. Happy graduation season! Whether you’re graduating high school or college, be sure to walk the stage in style! 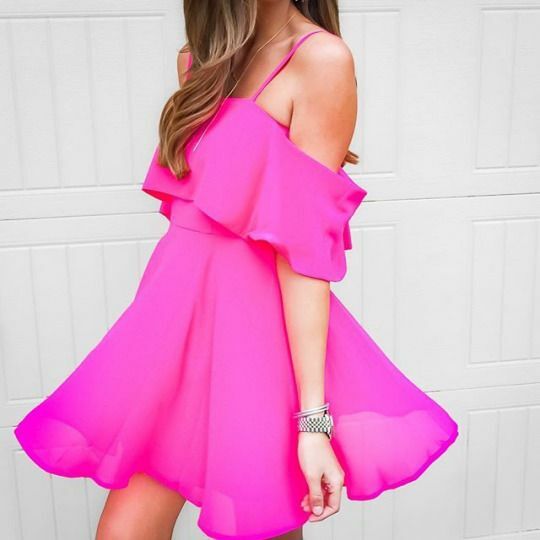 Here are some of our favorite styles for this season’s hottest graduation trends. Nothing says classic graduation like a crisp white dress! Go for the elegant, simple dress, or opt for a more fun and flirt option with some gorgeous back detail or lace. Give your fellow classmates that “wow” factor as you walk by in a bold color! Whether it’s hot pink, bright yellow, or turquoise, you’ll be sure to be the center of attention as you get your diploma. Nothing says spring and summer more than a patterned dress! Wearing a gorgeous floral or patterned dress to your graduation will brighten your day as well as everyone else’s. New season, new nail trends! This summer, be prepared to see fun shapes and different nail colors! With bright splashes of colors and detail oriented designs, your options for your next manicure are endless. Take a break from the traditional square-cut nails and go for a more unique, almond shape! It’s not only just for clothes anymore, stripes are hot for this season's nail trend! The classy trend continues. Ditch the colors and paint on some sleek, white polish! Time to slip on the shades and embrace the warm weather! What better way to welcome the summer season than to discuss the hottest summer beauty trends this year?! From hair to makeup, we’ve got the scoop on how to rock your best look in the hot summer months! With the sweltering sun and heat, the last thing we want to deal with is our makeup melting off our face. This season, take a step back from the layers of foundation and eyeshadow, and opt for a more natural makeup look! 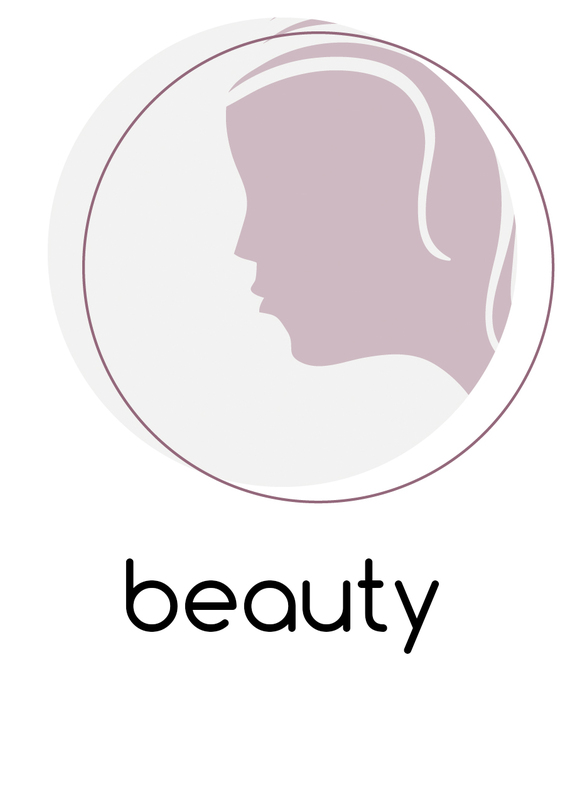 Use lighter-weight powders, liquid foundation with SPF, and soft skin tones to bring out your natural beauty! 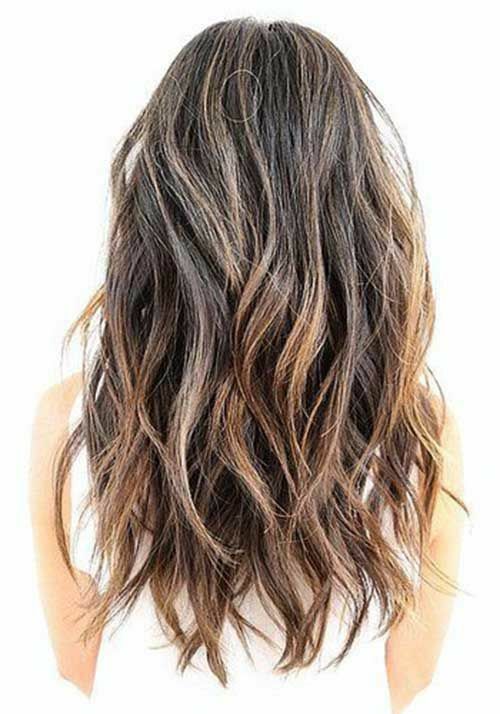 Even with the ongoing trend of flirty beach waves, sometimes our hair won’t cooperate with the heat! Another option to wear your summer hair while beating the heat is to keep it up and off your neck! Go for the traditional top knot, or spice up your look with fun headbands and braids! Along with summer comes dryer skin. Exfoliating your skin daily is a must in order to keep that healthy summer glow! Instead of using a harsh exfoliating scrub, try one of our favorite peel-pads! If you need a little boost in moisture in your skin, try this pore perfecting water gel moisturizer! You’ve picked your dress and your shoes, and now’s the time to focus on how to style your hair for your wedding day! There are a variety of hairstyles for all lengths, including using accessories or just going solo. Once you have your options in mind, it’s important to decide what style to focus on: up-do, half up, or all down. Don’t want your hair getting in the way? Opt for an up-do! 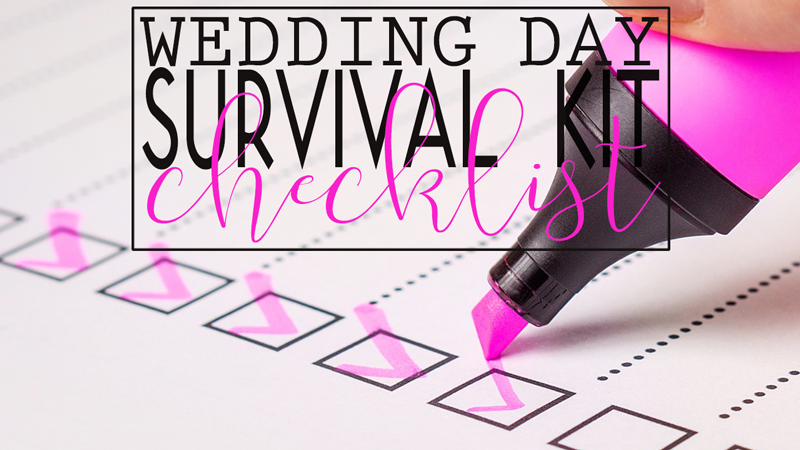 There are many classic ways to pull your hair back for your wedding day. Whether it be a simple, modern twist or up with a few stray curls, your hair will look fabulous and chic! Spruce your do up with some flowers, hair pins, or braids. Still want your hair away from your face, but want to enjoy it being down? Having a half-up do is the perfect choice! You can let your hair loose all while keeping it intact and out of your face. Either pin it back with a hair pin or utilize braids and braid half back. The accessories and options are endless! Let your hair down! Whether you have short or long hair, embrace those locks, let go, and have fun! Go simple with subtle waves, keep your hair straight, or even swoop it off to the side with a hair piece. Whatever you choose, you’ll look fabulous!